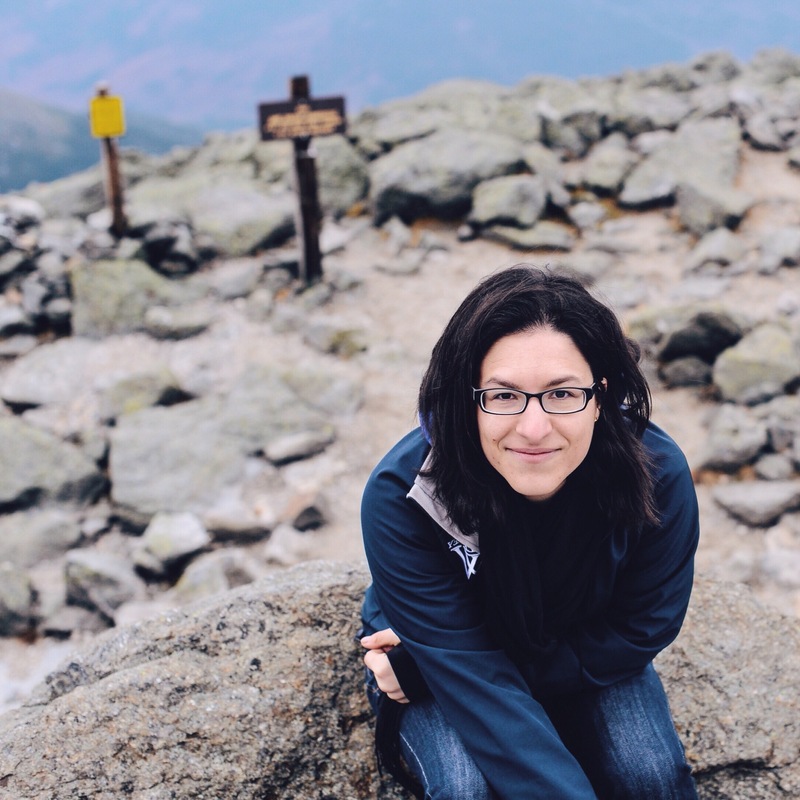 The Basics: Starting from scratch? These are my current kitchen essentials. Microplane Zester: A microplane zester is an invaluable tool that allows you to grate anything you need with much more ease than a box grater. I use it for everything – Parmesan cheese, chocolate, garlic, ginger, or lemon zest to name a few. I lived for so many years without one of these, and they were dark years. 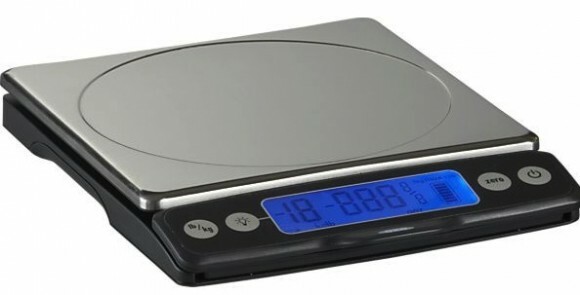 A Digital Scale: I can’t express how important this one is. A good scale is an invaluable tool in the kitchen, but they don’t have to be expensive! You want one that measures in both grams and ounces. For baking it is a necessity – it’s the most precise way to cook. When you measure out flour in a measuring cup, the variation can be huge – but measuring by weight will give the precise amounts. It also allows you to easily cook from non US cookbooks without having to worry about conversions. It’s also a great tool for people looking to relearn proper portion sizes – learning to judge how much food is in an ounce, etc. will help those looking to whittle their waist on target. For that matter, a good set of measuring spoons and measuring cups is also imperative! A Really Sharp Knife: Good knives are invaluable to a kitchen goddess (or god, whichever you may be). A few years ago I invested in a 3-piece Global Knife Set from Sur La Table. I’ve used these knives every day since, and they are sharp and effective. I also love my Kyocera Ceramic Knife, which I use for almost anything. I’ve had mine for seven years without a chip, but if they do break, you can send them back to Kyocera for a free replacement. Pepper Mill and Salt Cellar right next to the stove: I have a cute one that looks like this in turquoise that allows me to add freshly ground pepper in any dish I’m making with ease. I also have a little jar from ikea which I’ve filled with Maldon salt, right there so I can grab some. Some good quality grey sea salt that is full of minerals is also an essential. A set of Cutting Boards: I have a set of flexible plastic ones that I stick in the dishwasher on a regular basis. The flexible ones are great because you can roll them and accurately funnel your chopped foods into the pan without spilling things everywhere. A set that has different colors for chopping vegetables, poultry and meats is also particularly useful to help keep things sanitary in the kitchen and avoid cross contamination. Stick Blender: I can not express how useful this little thing is. You can use it to puree soups in a whiz, right in the pot. You can make single serve smoothies, salad dressings that are emulsified. It’s significantly easier to wash than a regular blender. You can get a good one for about 20 dollars, and a great one for about 50 dollars, complete with whisk and chopper attachments. Mouli: This most wonderful alien creature is a Mouli, by moulinex. 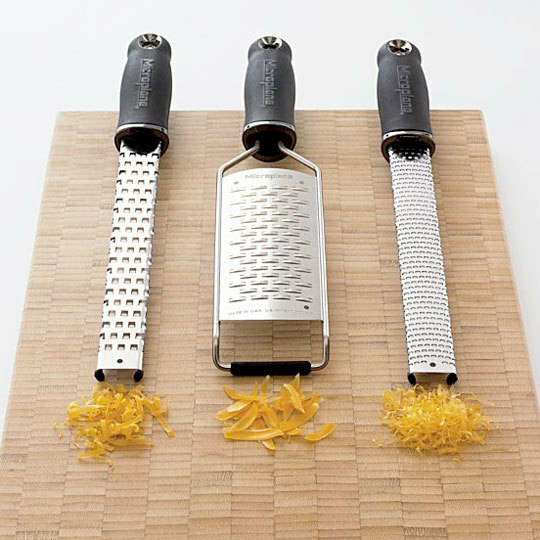 The mouli is something between a grater and a foodmill, and has different sized attachments that you can use to vary the size of your grate. You pop the food in, and turn the handle, that’s it! Moulis are great for children, because unlike a grater, you don’t actually have your hand near the sharp parts. Sil-pin: The Sil-pin is a rolling pin covered in silicon, which helps your dough or ingredients to avoid sticking to the pin. I purchased mine from Sur La Table in this lovely shade of lavender. I have the “french rolling pin” which is slightly tapered at the ends. It’s first use was for rolling out the dough of home made ravioli, which was accomplished with relative success. 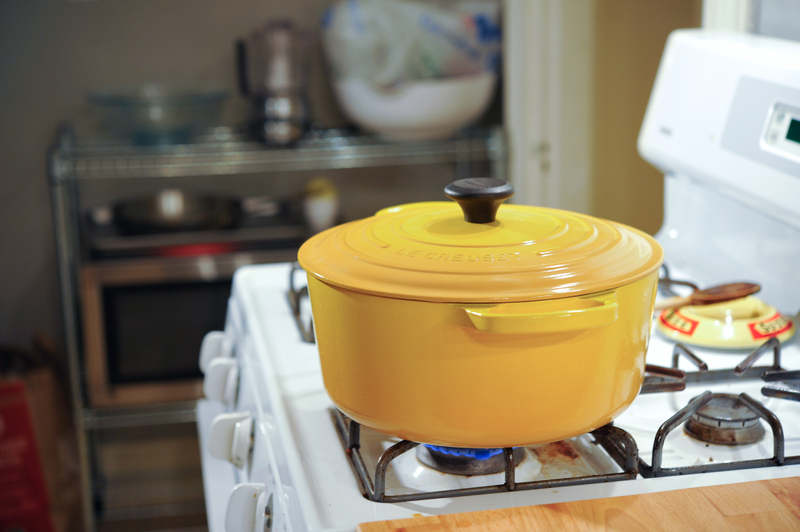 Dutch Oven: Mine is a 7 quart from Le Creuset in Dijon. These can have a hefty price tag but are well worth the expense. The heavy bottomed, heavy lidded pots will last you a lifetime, and you can cook EVERYTHING in them – including on the stove top and in the oven. Staub is another great brand, and for American made, try Lodge. 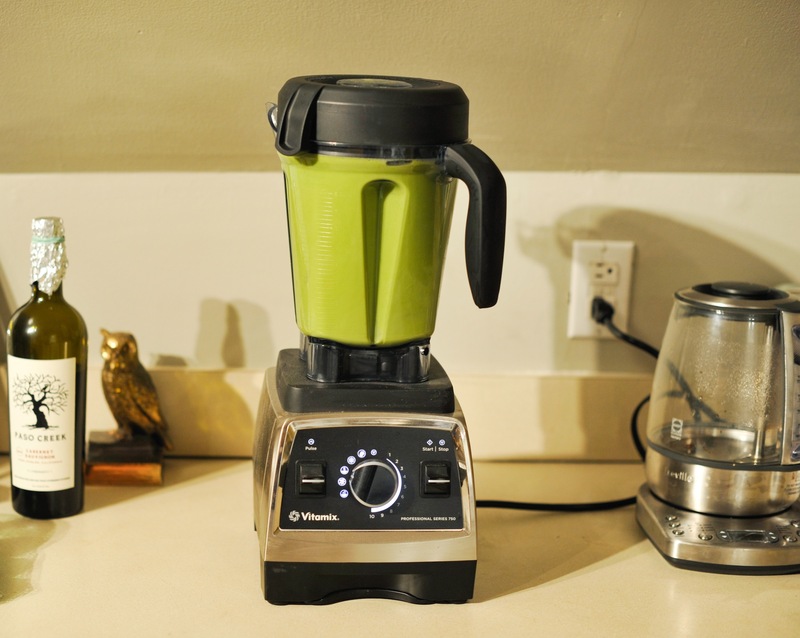 The Vitamix – mine is the Professional Series 750. Right next to it is my most used kitchen item, the Breville One-Touch Tea Maker. If you are ready to make the commitment to upgrade your blender, you can’t go wrong with either Vitamix or Blendtec. I love them both. A microplane zester is by far my most favorite kitchen gadget. They are just soooo useful!! Love the microplane zester! What a great idea! We are always grating something and this is something we never tried.